Medical office space is changing, and some of the must-haves are different than in the past, but it’s still an attractive investment, sources say. Several new prototypes have emerged in recent years. “Baptist pioneered the model of the ambulatory care center, and everyone else followed suit,” said Jack Lowell, executive vice president of Pointe Group Advisors. Baptist Health South Florida has an extensive network of urgent-care clinics that handle everything from cuts and scratches to diagnostic procedures. Most patients have private or HMO insurance. Not only are the co-payments rates less than what a hospital emergency room would charge, but the wait is generally shorter. The Cuban model, Mr. Lowell said, is a clinic-type medical office specializing in senior care that offers preventive testing and a chance for patients to socialize. “They have those little vans you see all over town,” he said. “It’s very successful.” Most patients have managed-care insurance via an HMO, Medicare, or a Medicare HMO. Many hospitals, and some medical practices associated with them, offer concierge-style care. Details such as transportation and paperwork are handled for patients by specially trained representatives. “For this, you need to have private, premium insurance,” Mr. Lowell said. Many medical tourists – some wealthy people from abroad – favor this arrangement, observers say. For a variety of reasons, many medical practitioners are interested in purchasing space, said lawyer Efraim Gutierrez. In late May, he represented Rieti LLC, the buyer of the former headquarters of BUPA Insurance Latin America. The new owners paid $4.9 million and plan to use the 33,046-square-foot building at 7001 SW 97th Ave. as medical professional offices. The seller was Onup Group Corp., said Mr. Gutierrez, principal of Efraim R. Gutierrez P.A. “I’ve noticed a trend in my practice toward doctors wanting to buy office buildings,” both to house their own practices and for investment, he said. Because out-patient procedures are up and hospital stays down, physicians no longer need office space near the hospitals at which they have admitting privileges, as in years past, Mr. Gutierrez said. Nor do they really care if the building is a high-rise or a sprawling suburban office park. 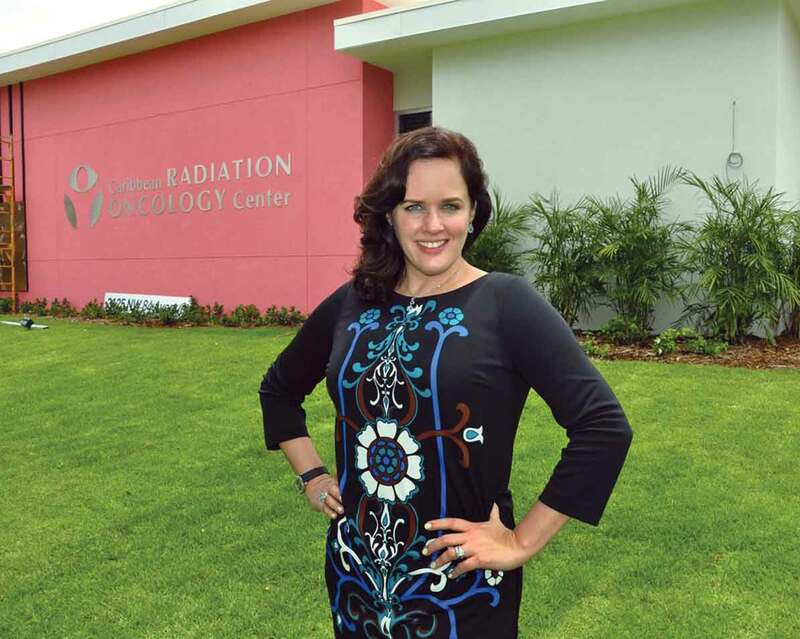 For Carmen Bigles, co-owner of Caribbean Radiation Oncology Center at 3125 NW 84th Ave. in Doral, a purpose-built office knocked the competition out of the running. A year-long search led to the purchase of their new building, which is specially designed for heavy radiation machines and the protective devices that shield them. A radiation facility requires a mat that spreads the weight load over whole foundation, as well as modifications to the air conditioning, heating and ventilation systems, Ms. Bigles explained. “In our case, we now have a boutique center and I can bring in the latest, most effective equipment,” she said. The center features the TomoTherapy Hi-Art treatment system, “the most integrated, advanced system for comprehensive cancer treatment,” according to a release issued to celebrate the center’s grand opening today (6/18).